Mew Mew Power Transformations and Attacks! If u were a Mew Mew, who would u be? I'd be Purin! Out of my top, boven 3 favoriete Tokyo Mew Mew characters, who is your favorite? If u could meet a Mew Mew character in real life, who would u love to meet? 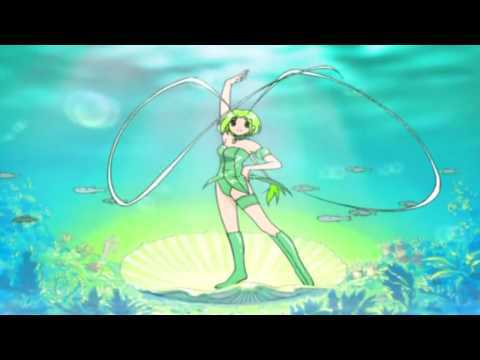 How come everybody is making Tokyo Mew Mew look bad with enquêtes comparing it with Mermaid Melody? They're both good. What's the point anyway? It's irrelevant to Tokyo Mew Mew! how do u make a club? What company owns tokyo mew mew now? I'll be getting this Ichigo doll soon. Pretty awesome, huh? But that's OK, because I'm cute! A beautiful place, blazing hot. So hot, that no living human could walk on it. We expect her to have long brown hair tied into a red bow, yellow gloves, yellow ballerina dress, yellow shoes. Yellow eyes, if possible but if blue, fine. Sakura: Look guys! I'm touching the sun! Ringo: u had us scared, Sakura-Neechan! 1. Poke him in the head, constantly. 2. Tell him that "the blue knight" is a really gay name. 3. After saying that, insist that he is gay. 4. Tell EVERYONE that he is gay, even write it into the newspaper. 5. Call him a stupid hippie. 6. Spread rumours that he's cheating on Ichigo with Kisshu. 8. Put loads of salt in his food just before he's about to eat it. 1. Insist that he is a furby. 2. Keep calling him useless. 3. Pull all his vacht, bont off so he's just a load of wires. 4. Shut him in cupboards and say it was an accident. 5. Get his name wrong all the time. 6. Ask him is he actually has a gender. 8. Carry him around with you, and schommel, swing u arm like u would with a bag so he's getting rattled about. 9. Play drums on him. 10. Put him in an aquarium tank, say it was because u wanted to know whether of not he could survive underwater.
. Pull his hair all the time. 2. Replace all his hair ties with fluffy roze ones. 3. Paint sparkly butterflies on everything he owns, and on him. 4. Throw food around in his keuken-, keuken until u can't even see the walls. 5. Tell Ryou that he poisoned the cake. 6. Actually poison the cake. 7. Put chewing gum in his hair. 8. Every day, sneak into his bedroom and hide a banaan under his bed. 9. Keep doing this until he has a massive pile of rotting bananas under his bed. 1. Everytime he says something, say "I KNOW" loudly. 2. Dance past him with a drum and cymbals. 3. Paint his bedroom walls green with roze stripes. 4. Then paint his ceiling Yellow with purple spots. 5. Put hair gel in his hair and make It all spiky. 6. Throw Pie at him, the alien of the food, both are sure to annoy him! 7. Sing happy songs to him while he's working. 8. Give pudding lots and lots of sugar when she's at work. 1. Call him "Little Baby Taruto"
2. Ask him if he knows how babies are made, if he says he doesn't know, laugh, if he says he does, but he's wrong, laugh, if he does know, laugh. 3. Take all his candy away, for a month! 4. Yell "Guess what, Taruto loves Pudding!" really loud to anyone who will listen, make sure Taruto is there at the time. 5. Make him listen to clam, slow music. 6. After a month, when u give him back his candy, make him eat only ice cream, so much that he gets terrible brainfreeze. 1. Dress him up as a pirate. 2. Chew on his ears. 3. Force him to give to piggybacks. 4. Undo his hair…thingy…you know the one I mean. 5. Make his computer get full of viruses. 7. On his computer, get him addicted to Neopets, make sure the other to aliens and the mews, find out. 8. Force him to go kayaking with you. 9. Hang bells from his ears. 10. Tell him "you're my fry" Don't explain. 11. Get annoying songs stuck in his head while he's trying to work. 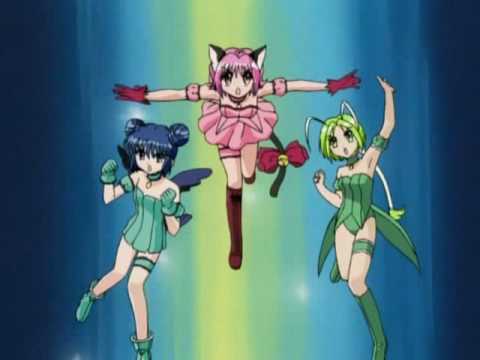 Take this kwis to see which Tokyo Mew Mew are you! I hope u enjoy it! a comment was made to the poll: Would u like to see a remake of Tokyo Mew Mew? a video was toegevoegd: Mew Mew Power Transformations and Attacks! 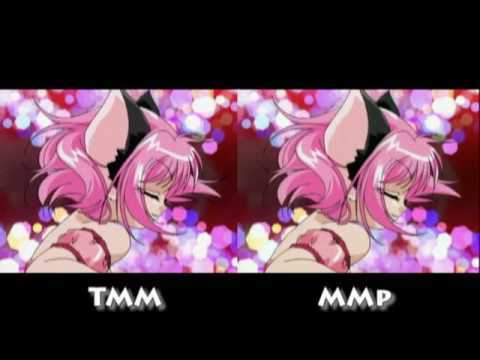 a video was toegevoegd: Mew Mew Transformation Comparison! How many boeken are in the Tokyo Mew Mew manga series? DOES ANYONE WHATCH THE anime ON UTUBE? ?